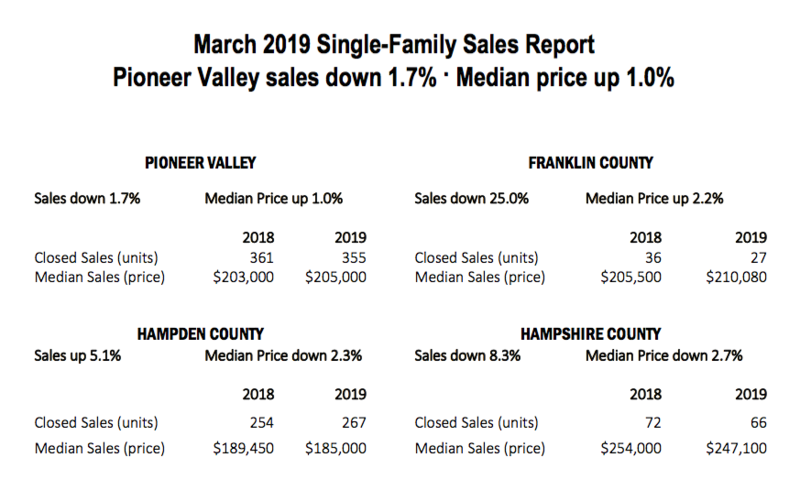 Sales of single family homes in Franklin County were down 25% and median price up 2.2% in March 2019 compared to March 2018. 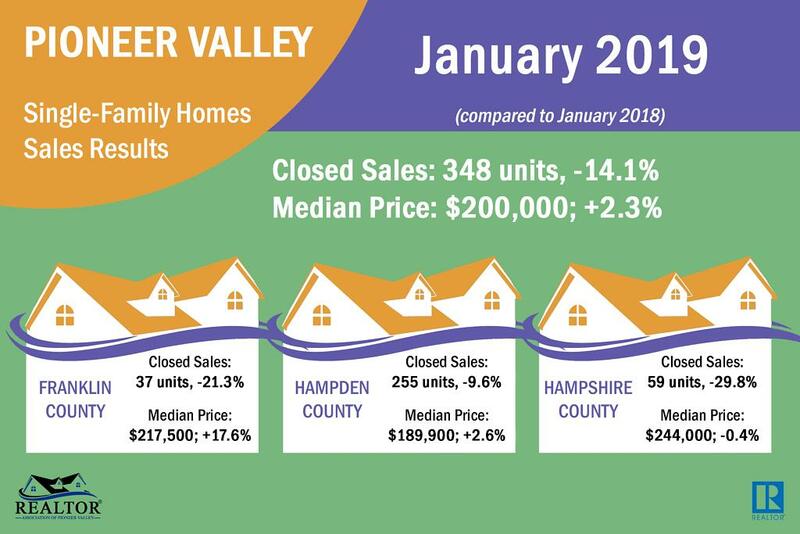 The sales were down in Hampshire and up in Hampden County. 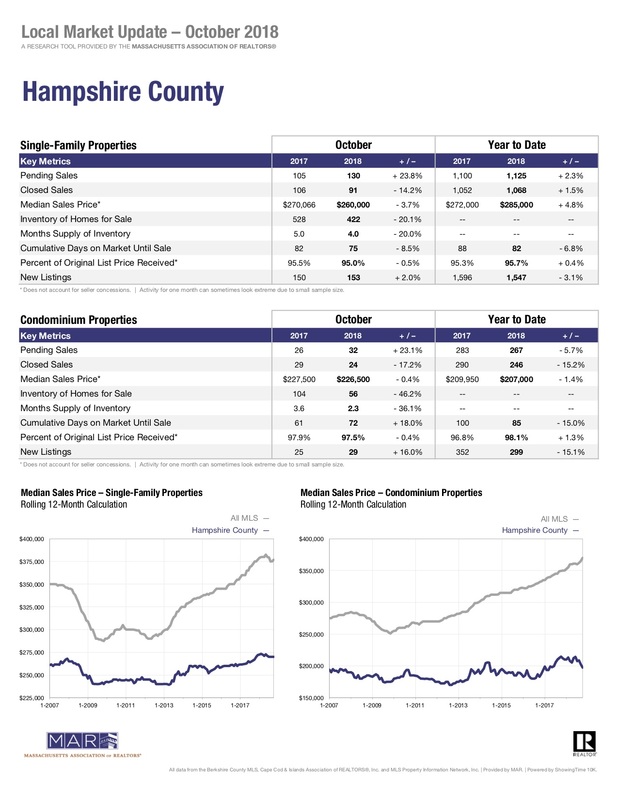 Median price was down in both Hampden and Hampshire County. The average days on market was up 15% from 97 days in March 2018 compared to 82 days in March 2019. 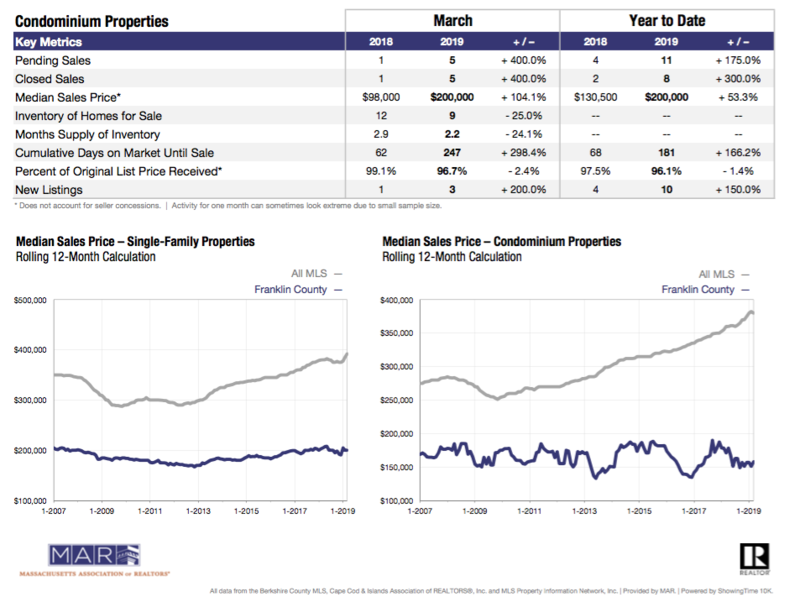 Listings that are pending (under agreement to sell) were up 17.6% from 518 listings pending in March 2018 to 609 listings pending sale in March 2019. 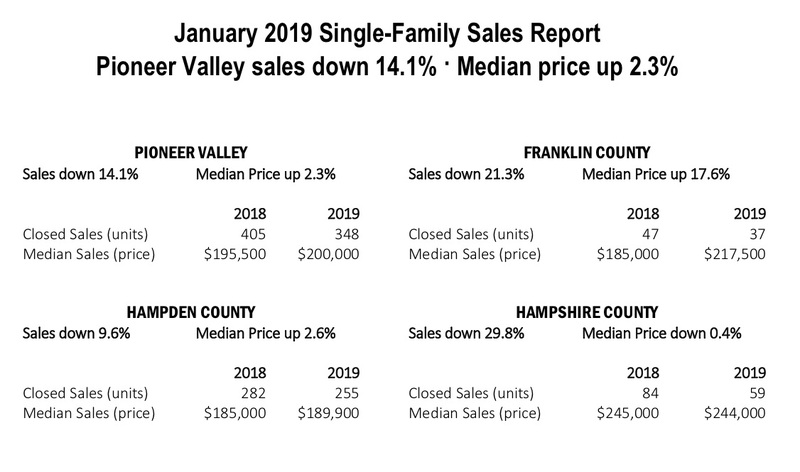 Sales of single family homes in Franklin County were down 21.3% and median price up 17.6% in January 2019 compared to January 2018. The sales were down in both Hampshire and Hampden County and median price up in Hampden County but down in Hampshire County. The average days on market was up 9.5% from 84 days in January, 2018 compared to 91 days in January, 2019. Listings that are pending (under agreement to sell) were up 18.9% from 344 listings pending in January 2018 to 409 listings pending sale in January, 2019. 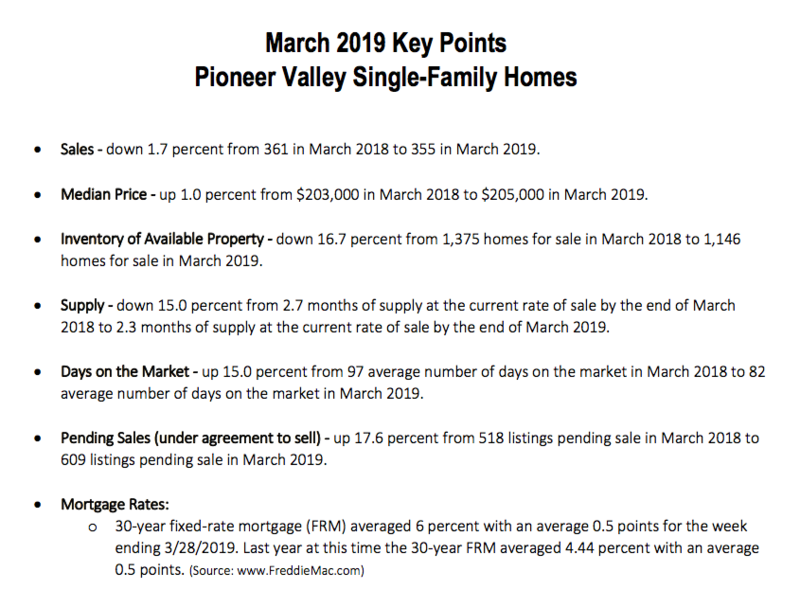 The sale reports below and stats are provided from the Realtor Association of Pioneer Valley. During this time of year, in the middle of winter in New England, the cold can start to get to me a little bit. 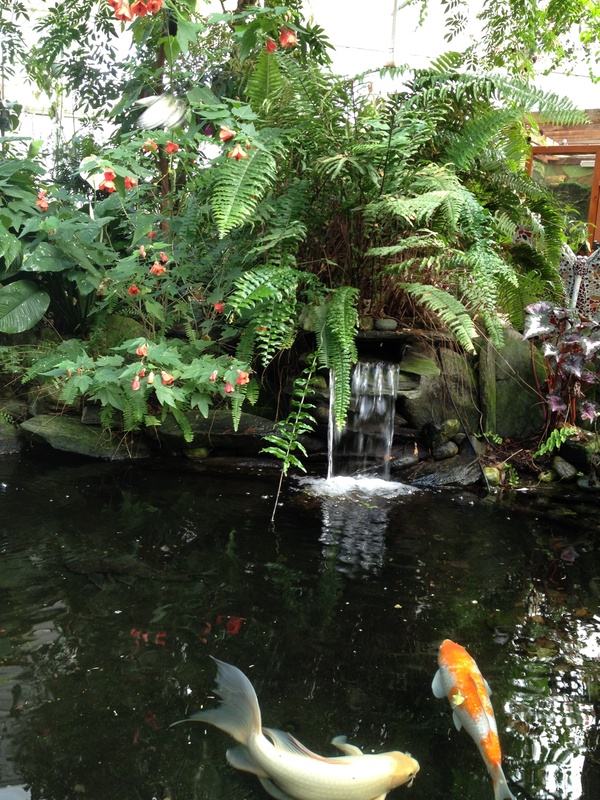 When that happens, I like to escape to an oasis from the cold in South Deerfield, Magic Wings Butterfly Conservatory. 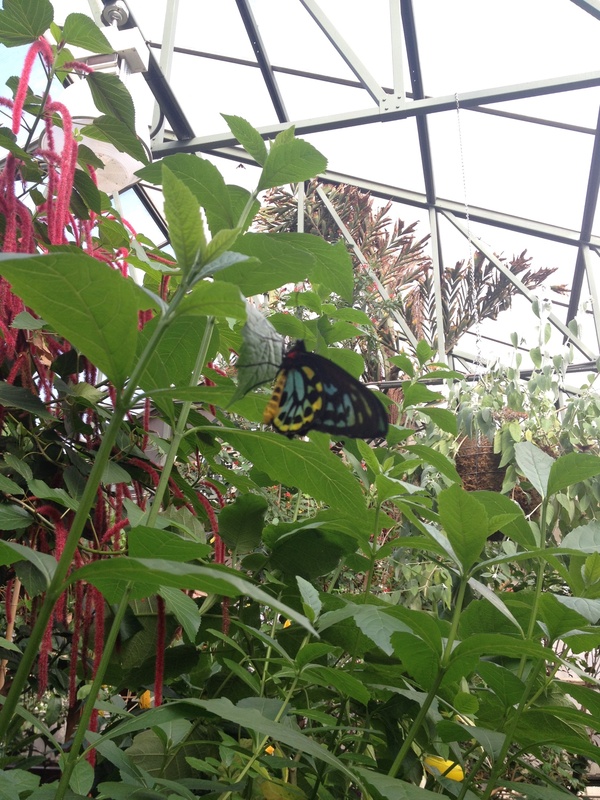 The conservatory is 8,000 square-feet and houses nearly 4,000 exotic and domestic butterflies. 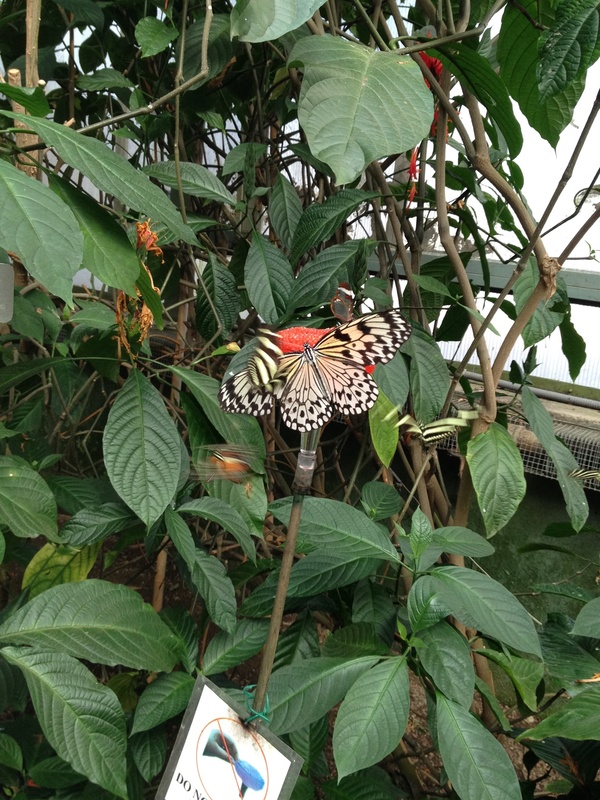 The butterflies can flutter among various tropical plants and flowers and small ponds which hold Japanese Carp, or Koi fish. If you’re lucky, a butterfly might even land on you! The best part is: they keep the conservatory at tropical temperatures, so you can enjoy the warmth, even when it’s wintry weather outside. Magic Wings also has a gift shop to purchase some butterfly souvenirs, outdoor gardens for the warmer weather, and a food court. 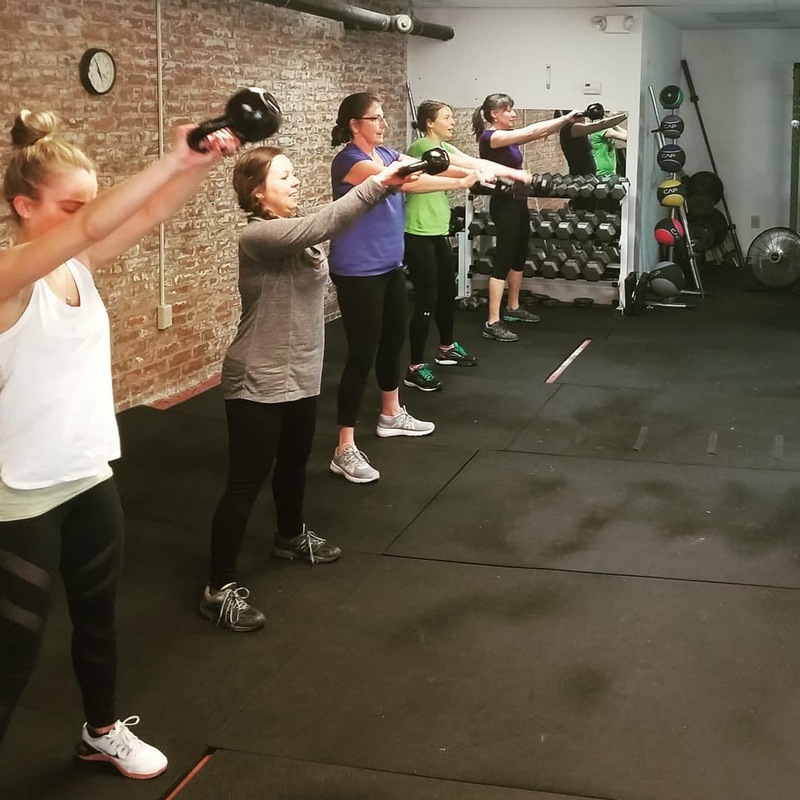 They offer the option to host events in their facilities, as well, such as weddings, birthday parties, meetings, or other private parties. Magic Wings is open every day from 9 am to 5 pm. 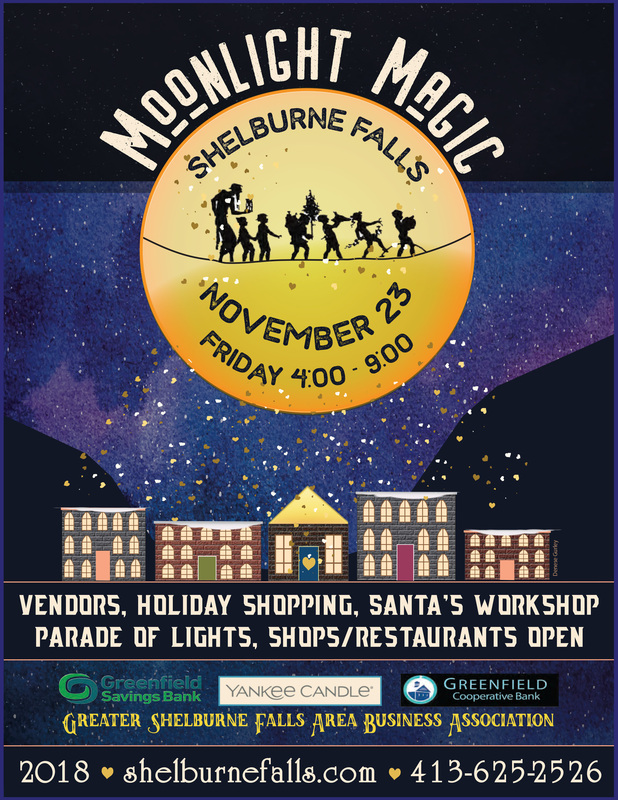 The cost of admission is $16.00 for adults and $10.00 for children under 17. They also offer discounts for seniors and students. So if you need an escape from winter without taking a flight, just drive to Magic Wings in South Deerfield. If you are currently listing part or all of your home on Air Bnb or are considering renting out a space in your home for short term periods, you’ll want to pay close attention to the new short term rental laws in Massachusetts. These new laws will require all short term rentals to be registered in a database with the state. The law also imposes a 5.7% hotel room tax to all short term rentals. Plus, towns and cities can choose to add an additional tax of up to 6% (6.5% in Boston) and a 3% community impact fee. 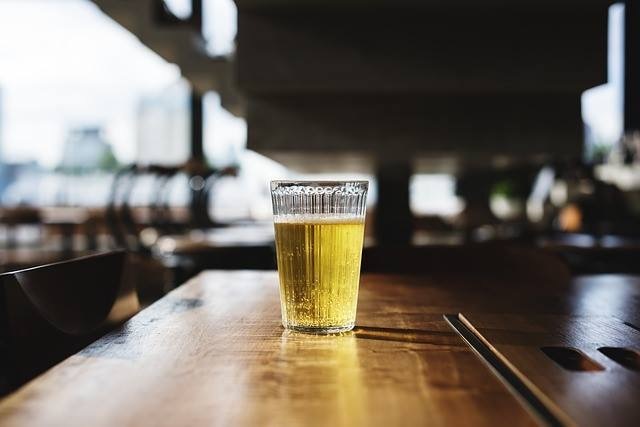 Concerning the matter of insurance, people renting out a room will need to have at least $1 million in liability insurance. When do these laws go into effect? 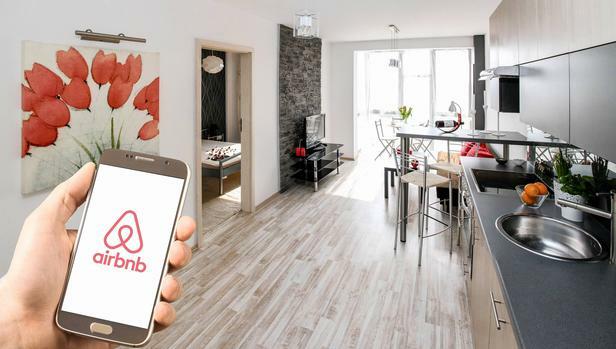 The state-level laws are already in effect, but towns and cities will have the option to create their own restrictions around short-term rentals. How is a short-term rental defined in this law? These new short term rental laws apply to all rentals for a period of 31 days or less, but does not apply to properties rented less than 14 days out of the year. Ordinary tenancies, such as an annual lease or tenancy-at-will, are not affected by this bill. How does this law apply to rentals already booked for 2019? Any 2019 rental booked before December 31, 2018 is exempted from the short term rental law. Be sure to check with your city or town to see if they will implement any further restrictions on short term rentals. 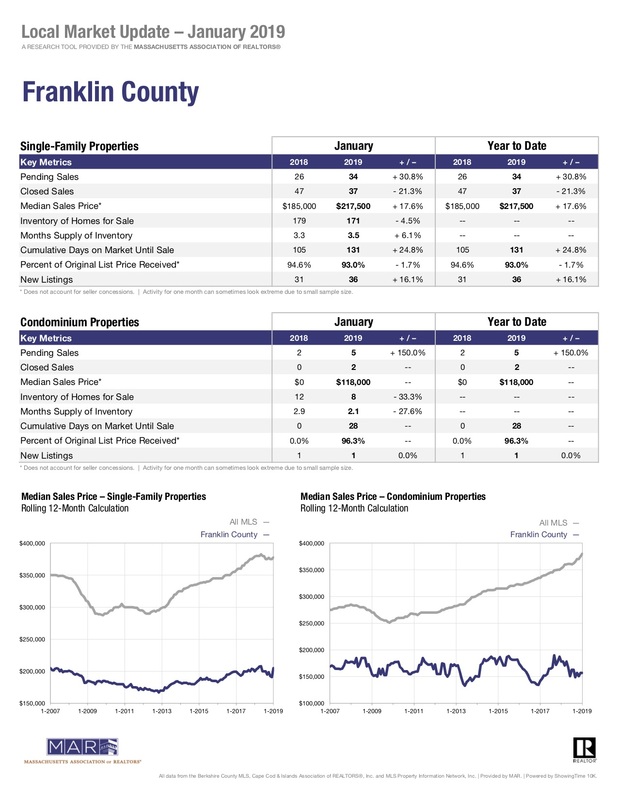 Franklin County sales were down 23.2% and the median price up 8.1% in November, 2018 compared to November, 2017. The sales were up in both Hampshire and Hampden County. Inventory of single family homes fell in Pioneer Valley 14.9% from 1,800 single family homes for sale at the end of November, 2017 to 1,531 at the end of November, 2018. The average days on market is down 13.1% from 79 days in November, 2017 to 69 days in November, 2018. Listings which are pending (under agreement to sell) are down 8.0% from 464 in November, 2017 to 427 in November, 2018. 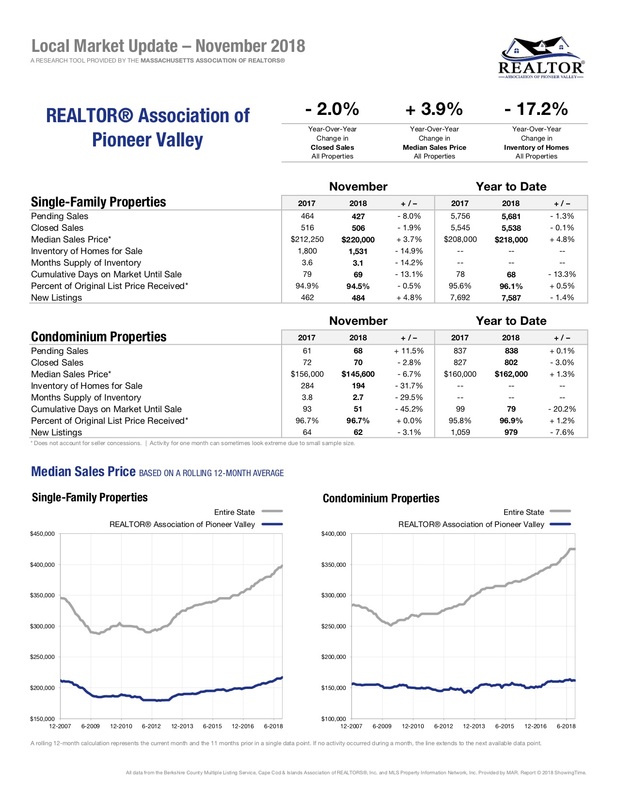 The sale reports are provided from the Realtor Association of Pioneer Valley. Recently the Greenfield Recorder held their reader’s choice award, Franklin Favorites. 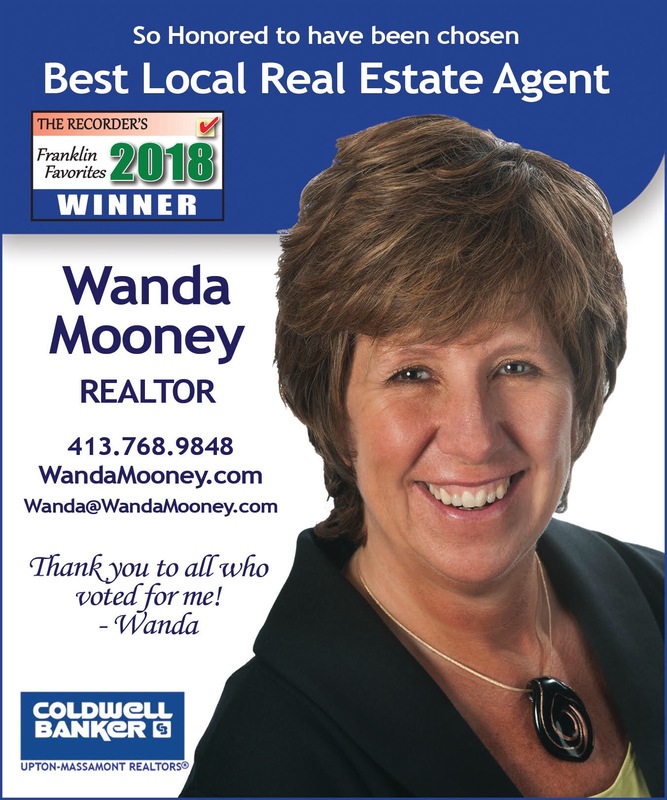 I am so honored to have been voted the winner for the category of Best Local Real Estate Agent. Out of all the awards I have received in my career, this one means the most to me. Franklin County is a place I will always call home and it is such a joy to be selected by my neighbors for this award. Thank you so much to everyone who voted for me and congrats to all of the other winners. I look forward to continuing to serve Franklin County. 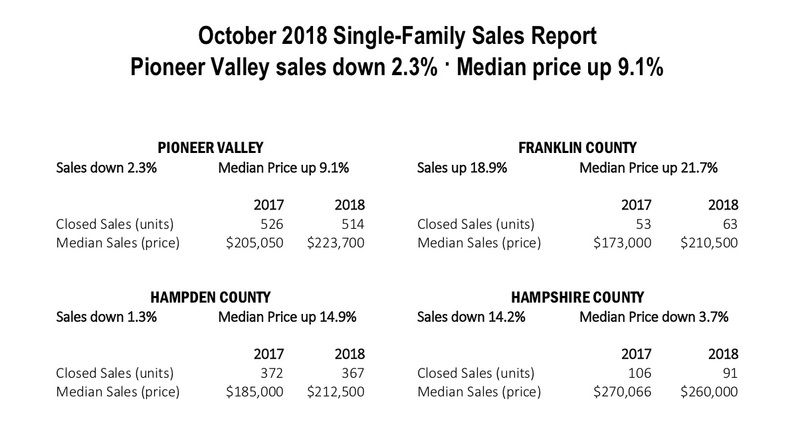 Franklin County sales were up 18.9% and the median price up 21.7% in October, 2018 compared to September, 2017. The sales were down in Hampden County but up in Hampshire County. 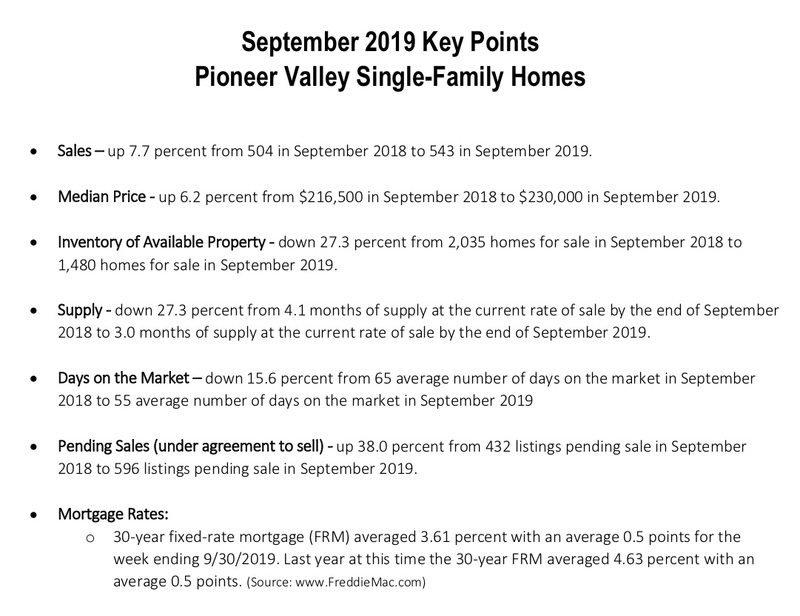 Inventory of single family homes fell in Pioneer Valley 17.1 percent from 2,045 single family listings at the end of October, 2017 to 1,696 single family listings at the end of October, 2018. The average days on market are down slightly by 0.7% from 65 days in October, 2017 to 64 days in October, 2018. Listings which are pending (under agreement to sell) are up 18.3 from 507 in October, 2017 to 600 in October, 2018.